This book is highly accessible to both computer science students and programmers. The approach is similar to that taken by Tanenbaum for operating systems in the C-language code that implements all algorithms. 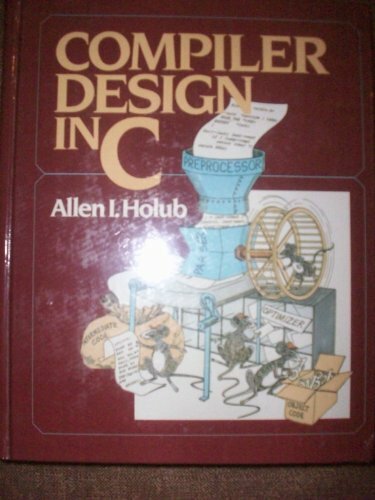 The book presents the subject of Compiler Design in a way that's understandable to a programmer, rather than a mathematician. by Vincent Chung - Free Software Foundation, Inc. 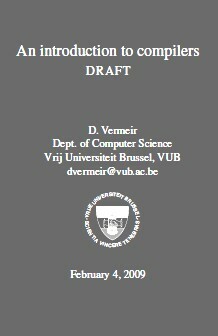 This manual documents how to run, install and port the GNU compiler, as well as its new features. It corresponds to GCC version 3.0. Only the options for the C, Objective-C, and C++ compilers and those of the GCC core are discussed. Contents: Introduction; Lexical analysis; Parsing; Checking static semantics; Intermediate code generation; Optimization of intermediate code; Code generation; Introduction to x86 Assembler Programming under Linux; Mc: the Micro-x86 Compiler; etc.